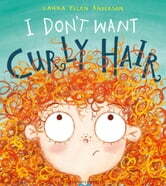 I Don't Want Curly Hair! is glorious new picture book for little people who always want what they can't have! From the brilliant Laura Ellen Anderson – illustrator of the bestselling Witch Wars series. Books related to I Don't Want Curly Hair!